Pokédex Entry- In ancient times, this pokemon was a constant companion for pharaohs and the royal families. If slaves were caught with one, they were put to death and the pokemon was adopted by the royals. 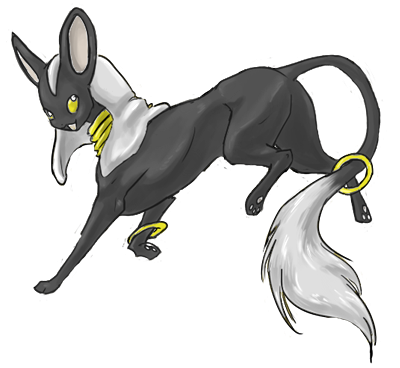 Reneon, as being the pets of ancient nobles, were revered and feared in their time. Most of them died with their masters, their race and evolution being forgotten and knowledge of how to evolve lost to the winds. Not many humans would know how to evolve one without research, and pokemon would probably know less. However, in crypts, their pictures can be found on the walls, carved onto the sarcophagi, and even found buried with their masters.